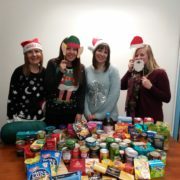 The Fraud Admin team at Brownsword have organised a collection of food to donate to the homeless in the lead up to Christmas. 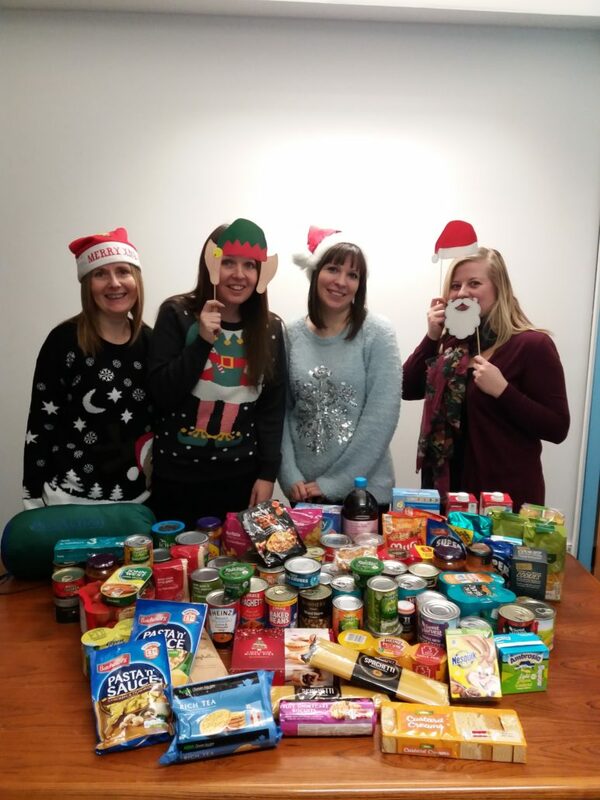 Staff have contributed a vast array of food items which will be taken to a local charity, St Albans Project in Dukinfield this weekend in time for Christmas. St Albans opens fortnightly on Saturdays to provide companionship and a place to go for local people in need who are categorised as homeless or vulnerable in other ways. Tea, coffee and sandwiches are provided each week, and a full hot meal once a month. Any food unused by St Albans will go to the local foodbank, Tameside East Food Bank who aim to provide three days food in an emergency to local people in crisis. Well done to ‘The Fraud Girls’ for organising this initiative and thinking of others at this festive time.